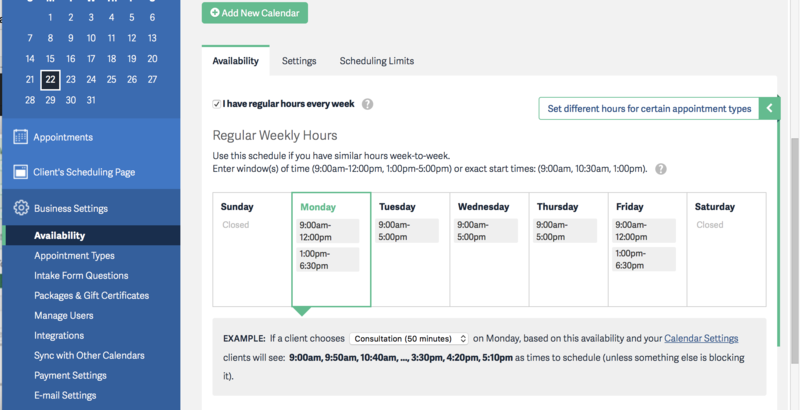 Acuity is our secret sauce to stress-free scheduling. Before discovering Acuity Scheduling, I sent countless emails back and forth constantly trying to sort out scheduling. 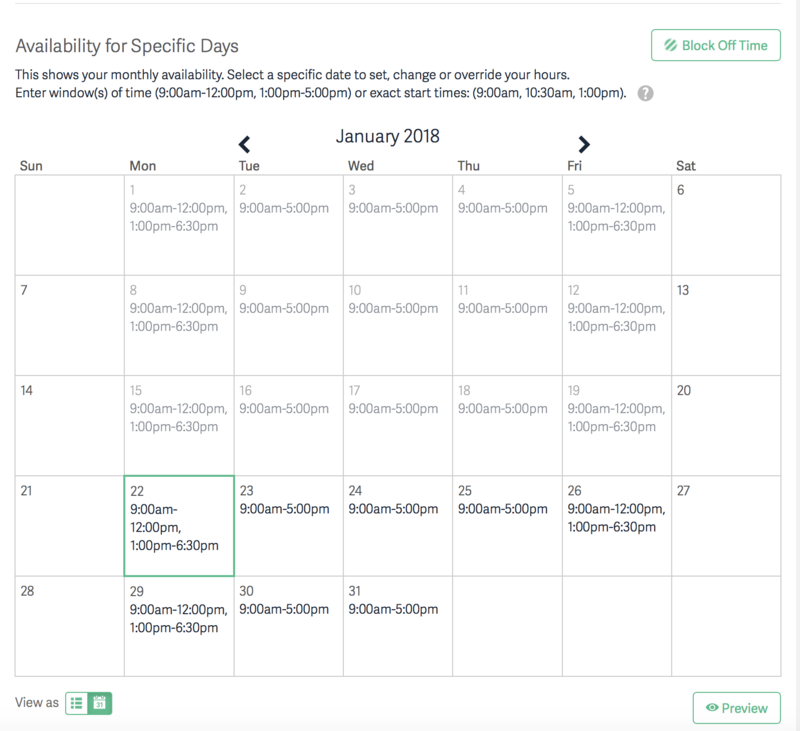 I’d send clients my availability and they’d send me theirs. We would email continuously until finally finding a time that worked for both of us. The beauty of Acuity is it allows my clients to access my schedule and set up appointments that also fit their time frame. The system is easy to use. Whenever I need to adjust my availability, I just go to “Business Setting” → “Availability”, select the day and enter windows of time I am free to talk. The client can select who they want to set an appointment with, what their time zone is and they will see available windows. 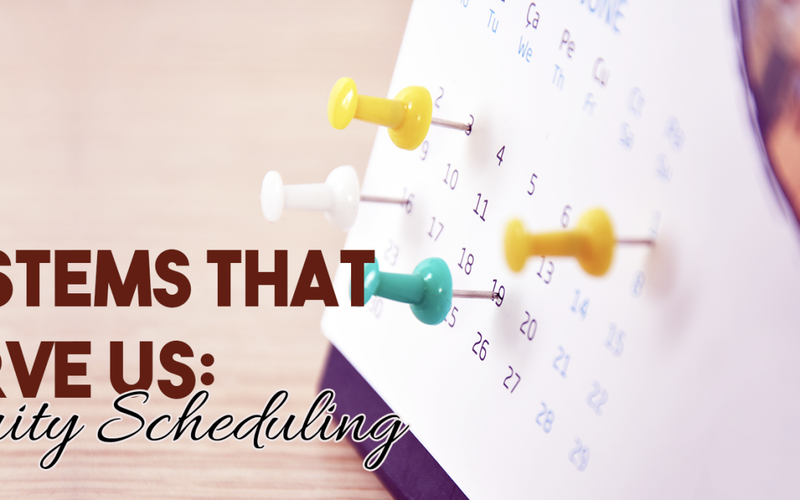 There are several different reasons someone would schedule an appointment with me or my business assistant Rachel Krug. 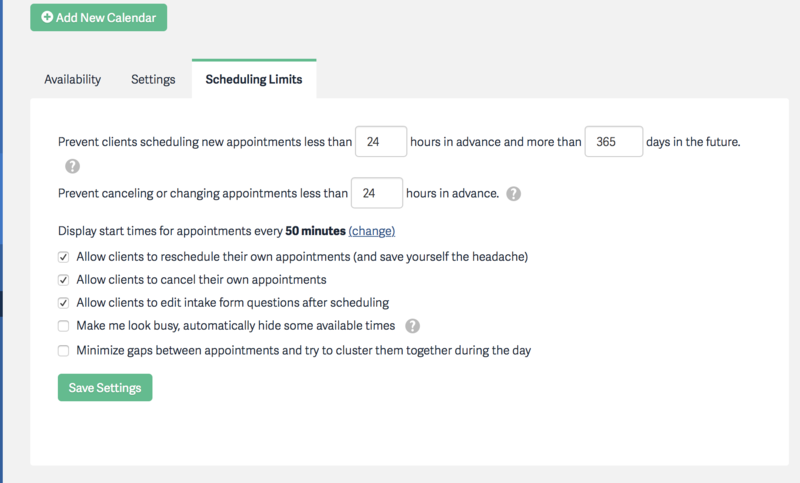 I can set up different appointment types to make it easier for us and the person scheduling. Certain appointment types have a cost. Before Acuity, the payment process was often a headache. Now, I don’t have to worry about it at all. By the time I’m on the phone with a client, the payment has already been handled. Another feature I love on Acuity is the Calendar syncing. 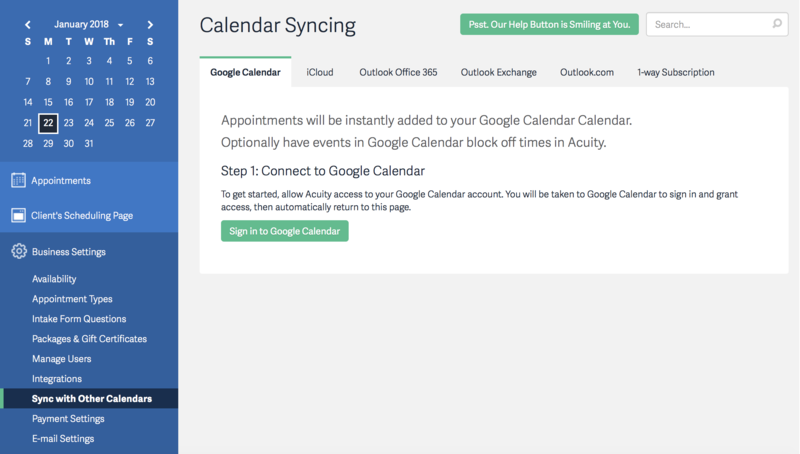 You can sync your Google, iCloud and Outlook calendars. If I put something in my Google calendar, Acuity blocks that time out as unavailable so I never have to worry about double booking. You can sell packages of appointments and gift certificates, offer coupons, view orders and check subscribers. I can access my client list, which is really great and convenient. It’s the rolodex that writes itself. Scheduling limits allow me to prevent clients from scheduling appointments less than a day in advance and more than a year in the future. I allow clients to cancel their own appointments, but also require them to cancel more than a day in advance. I can also allow clients to reschedule their own appointments and intake form questions after scheduling. 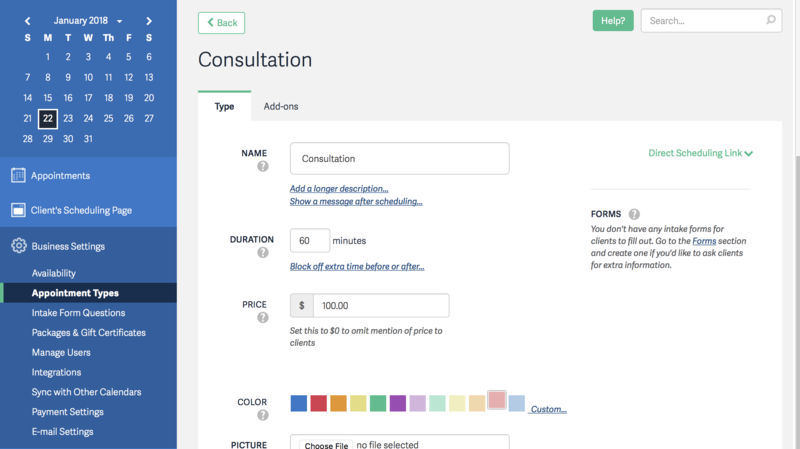 I created a form after discovery calls that asks clients their website URL, how they heard about us, why they want to collaborate, describe their business and explain the biggest obstacles standing between them and their ideal business. You can connect Acuity to all sorts of applications including: QuickBooks, Freshbooks, Xero, MailChimp, AWeber, Active Campaign, ConvertKit, Constant Contact, Drip, MadMimi, and Simplero, Google Analytics, Facebook Pixel, Custom Conversion Tracking, Google Contacts, Salesforce, Infusionsoft, Pipedrive, Google Sheets, Wufoo, Zoho CRM, Referral Candy, ReviewRail, GoToMeeting, Zoom, Join.Me, API, Zapier, Custom Sidebar Integration, Webhooks, Stripe, Square, Braintree, PayPal, Authorize.net, GoDaddy, Squarespace, WordPress, Facebook, Weebly, Drupal, Joomla, Webs, Wix, and Zenfolio. For more email marketing ideas check out our Email Marketing Tools, which includes 8 opt-in ideas and 15 catchy email subjects. Download some free lead magnet ideas and and catchy email subjects with our Email Marketing Tools Guide. Stay in the loop and like KRose Marketing on Facebook where we tackle all sorts of topics relevant to small business owners/entrepreneurs and those in the making. Let us know what you are working on. We want to help make your passions thrive by providing tools to efficiently market your business and live a well-rounded life in the process. Make sure to check out last week’s blog post and live video by Rachel Krug on juggling work & home life.